Matasuna Records, founded in 2016, is home of reworks of rare & forgotten music treasures from all over the world as well as contemporary productions. The debut ep – a limited vinyl only release with reworks from Voodoocuts & SoulBrigada on black vinyl (180g) – will be available on 3rd june 2016 in selected record stores around the globe. 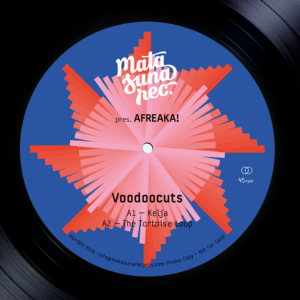 Voodoocuts kicks off the A-Side with Kelja, a raw 70s afro-funk bomb from the Ivory Coast. The American-funk inspired tune features a funky bassline & killer organ vibe, mingled with a dirty, raw saxophone line and James Brown influenced vocals. Voodoocuts’ rework turns the track into a serious dancefloor banger! In The Tortoise Loop Voodoocuts blends an infectious groove with pounding drum breaks and hypnotic vocals. A hot afro-latin joint not to be missed! On the flip SoulBrigada takes things to a disco tip. Hustleman is a stunning afrofunk & disco gem from West Africa. The second track Madera is an afro-disco gem with a compelling Cape Verdean groove. 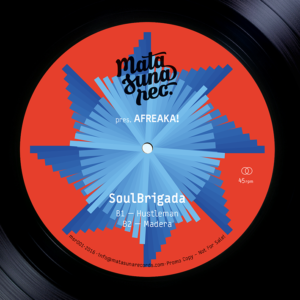 SoulBrigada rearranged the tracks, added drums, samples and effects building a bridge between past and present – without ever losing its original organic vibe. Two essential tunes for your record bag!